America is getting the Mini-NES. 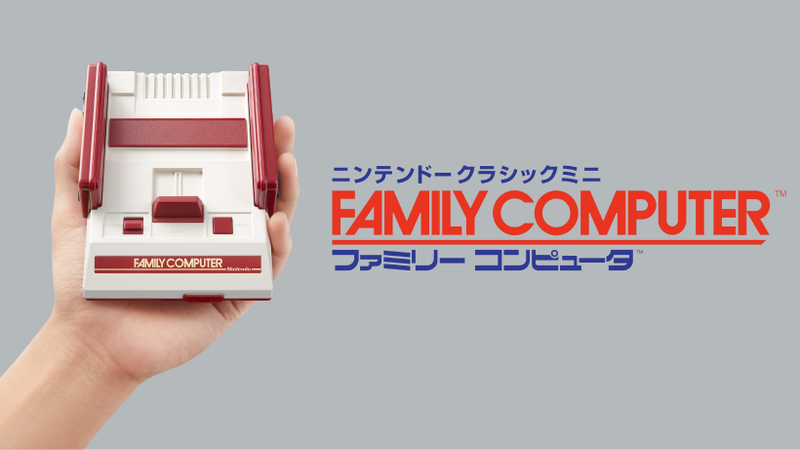 Japan, naturally, will be getting a Mini-Famicom to match. It’s the same basic deal, bundling 30 classic games into a small system (which you can’t swap out or add to, they’re pre-loaded) that you plug into the TV via HDMI, only here obviously it’s a slightly different roster of titles, with stuff like Tecmo Bowl swapped out for a more Japanese sports game from the same company, Tsuppari Oozumou (Bumping Sumo). And here’s a trailer for the cute little guy. It’ll be out in Japan on November 10 for ¥5980 (USD$60).